Have you decided about buying a new car and thinking about different financing options? We have good news for the residents of Morton Grove, IL and its neighboring areas that Castle Honda is already serving Morton Grove, IL and now is offering the best auto financing in your vicinity. Our new cars inventory is full of latest models of Honda Cars, SUVs, Trucks and Minivans and you can get any vehicle of your choice through easy and hassle free financing. Step-1: Fill up particulars related to your personal and contact information. Step-2: Enter your employment and purchase details; also provide information about your required loan amount and time period. After providing all your details, agree to the simple terms and conditions of our dealership and your application is forwarded in no time. Make sure you read all the terms carefully and don’t hesitate to contact us if you may have any questions about the Financing Application procedure or its terms. Our payment terms are flexible and we provide auto financing online at low APRs. 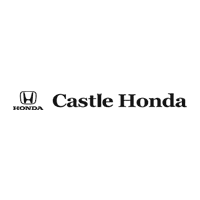 So visit us today at Castle Honda serving Morton Grove, IL or submit your auto finance application. You can also take benefit of our auto financing online and get yourself qualified for a car loan or lease in no time.